Copy the plugin file (see below) into your Wordpress plugin directory (typically “/wp-content/plugins”). Activate the plugin. 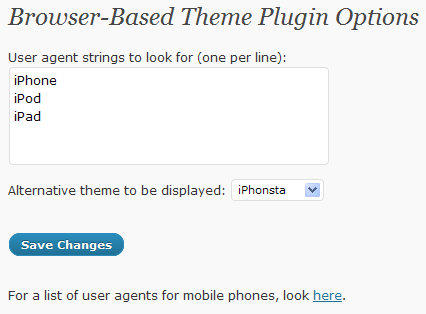 Adjust your settings in the “Browser-Based Themes Config” menu.